Unique treasure in River Ridge! Recently remodeled throughout including new kitchen w/granite, s/s appl & custom cabinets. Awesome hardwood floors! Newer windows, roof and gutters. Walk in shower and radiant heat in mstrbath. 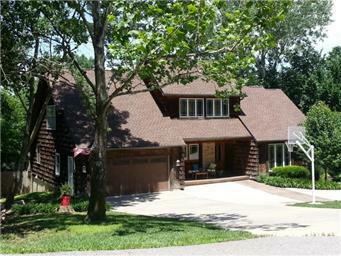 Lake view, treed lot=a private retreat. Spectacular views from every window! Outdoor living space w/ample decks and patio.